If you have a question that isn't answered below, please do not hesitate to Contact Us. 1.1. What does making a Will mean? 1.2. Are your Wills Legal? 1.3. How does the tenminutewill.co.uk service work? 1.4. Do your Wills include Brussels IV? 1.5. What if I die without making a Will? 1.6. Doesn't a Solicitor need to sign or witness my Will for it to be legally valid? 1.7. Can't I just write my own Will myself without any help? 1.8. Can I use this website to write a Codicil? 1.9. Can I write a Will or LPA for somebody else? 1.10. Under what circumstances can I NOT make a Will? 1.11. Is there anything I can't leave in my Will? 1.12. What if I want to leave people out of my Will? 1.13. In what countries will my Will be valid? 1.14. Can I use a Will to stop the Local Authority from taking my house to pay Care Costs? 1.15. Will I have to pay Inheritance Tax? 1.16. How long will my Will be valid for? 1.17. What if somebody I leave something to in my Will dies before me? 1.18. We are Partners or Married. What are Mirror Wills? 1.19. Can an Executor of my Will be a Beneficiary? 1.20. Can I appoint Guardians for my children in my Will? 1.21. How do I ensure that my children are provided for financially? 1.22. What is a Lasting Power of Attorney - Property & Financial Affairs (LPA-PA)? 1.23. What is a Lasting Power of Attorney - Health & Welfare (LPA-HW)? 1.24. How do I make an LPA-HW? 1.25. Can I draft a Lasting Power of Attorney for somebody else? 2.1. How do I get my documents? 2.2. I've completed the forms and saved my details. What do I do now? 2.3. How do I make a change or a correction? 2.4. Oops I entered my email address incorrectly. What do I do? 2.5. I've changed my email address. What do I do? 2.8. How do I refer a friend? 2.9. How do I retrieve my documents from Secure Document Storage? 2.11. Do I have to sign every page of the Will? Making a Will means that you are legally declaring who you want to inherit everything that you own when you die, and who you want to administrate the process of distributing it. Yes. A Will made using our service is 100% legal under the laws of England and Wales. We have been providing this service since 2002, have tens of thousands of Customers, and not one single Will has ever, to our knowledge, been legally challenged. If you use our service to write your Will and correctly follow the simple signing/witnessing process (for which you will receive detailed instructions) then your Will be be just as legal as if you had used a Solicitor. We have written a special page on this subject which you can access here. Yes. We have written a special page on this subject which you can access here. If you die without making a Will you are said to have died Intestate. Dying intestate leaves your loved ones with far more work to do at a time when they will be bereaved, and it is highly likely that your Estate your possessions will not go to who you want them to. For example, if you are living with but not married to your partner, they will receive nothing if you die intestate. If you are thinking about not making a Will, or putting off making one, please read our page on dying intestate before deciding to do nothing. No. A Solicitor does not need to be involved at any stage of the making of a Will. Yes, you can. But there are significant risks in writing your Will without any assistance of any form - and remember that you will not be around to sort out any problems that occur. (a) A Will that is not clear under the law is open to challenge and your wishes may be overruled. (b) A Will not made under the correct procedures could be declared invalid. Using our service – with proven software and clauses with decades of legal precedence, your Will being checked by a Professionally qualified Willwriter, and clear Instructions for signing and witnessing the Will – ensures that your loved ones are not left with the above problems. No. It’s far easier to simply make a new Will using our website. It will contain a clause automatically revoking (i.e. cancelling) your previous Will (assuming that your previous Will was made under the laws of England and Wales). Once you’ve written your new Will using our website, you’ll never have to consider writing a Codicil again. This is because re-writes to your Will at our website are free for 60 days, and then at a 20% discount after that:- You simply login, amend your Will online, generate the revised document, and print/sign/witness it – and as soon as this has been done then your new Will becomes your current Will. This is a major benefit of using our service. Yes. You can use tenminutewill.co.uk to write a Will (and/or LPA) for somebody other than yourself. It doesn’t matter who actually writes or drafts somebody’s Will (and/or LPA). All that matters is that the person whose Will (and/or LPA) it is understands its contents and is happy with its contents. Obviously they must also be of sound mind and old enough to make a Will (and/or LPA) – see the section below. You can make a Will if you are 18 or over and if you have the mental capacity to make a Will. If you own a property as ‘Joint Tenants’ with somebody else, then you can’t leave your share in your Will. Click here for more details. The same goes for your chare of any joint bank account held on a 'Joint Tenants' basis. You should contact your bank to clarify how your account is held. Death in service benefit – we advise you to contact your employer to arrange who is to receive this because your Will does not cover it. Your pension rights - these will normally already be assigned to somebody. You should contact your employer or pension provider to check. A Life Insurance Policy that is already written in Trust to a beneficiary. If you have any doubts over whether or not a Life Insurance Policy of yours is written in this way, then you should contact the Life Insurance Provider with whom you hold the Policy. Property (i.e. a house, flat, etc.) that is outside England and Wales. The above list is not exhaustive, but please don't worry too much about this subject: if you do leave any of the above in your Will, then the Will would still be legal - the items concerned would simply be crossed out. If you’re deliberately leaving somebody out of your Will, you don’t need to say so in the Will – instead you just don’t mention them as a beneficiary. We also recommend you to write a separate letter explaining what you have done and why. This letter can then be read out in court if the Will is ever challenged (if you instead wrote your reasons into the Will, they could be deleted by the Probate Office and they could then not be read out in court). You do need to be aware, though, that legally you have to provide for all people who are financially dependent on you. If you don’t then the Will can be challenged and will probably end up being changed. We have a document on this subject explaining your obligations called ‘The Law regarding who may Contest a Will’ and you can download it from our ‘Free Downloadable Documents’ section by clicking here. 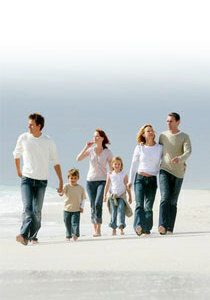 A Will made at tenminutewill.co.uk will be valid for everything you own - immovable assets (i.e. property) and movable assets (e.g. bank accounts) - in England and Wales only plus movable assets (e.g. bank accounts) in most other countries. It is not guaranteed to be valid for immovable assets (i.e. property) in Northern Ireland, Eire, The Channel Islands, the Isle of Man, or Scotland – although in the latter case it is possible to adapt the Will so that it might be valid: for more details please click here. Yes you can. We have a special page dedicated entirely to this subject, and you can read it by clicking here. Possibly. The simple answer is that first £325,000 ('the Nil Rate Band') of your estate will pass free of IHT. The remainder will be taxed at 40%. We have a special page dedicated entirely to this subject, and you can read it by clicking here. If you marry or enter into a Civil Partnership (by law, marriage automatically revokes a Will) – in this case all you’ll need to do is re-print the Will (using your new name if it has changed) and re-sign/witness it as before. If you make another Will (or re-write your Will) using our site – all our Wills contain a clause revoking all previous Wills made under the laws of England and Wales. If you intentionally destroy the Will. Note that if your Will has not been revoked but it cannot be found then you will still be deemed to have died without a Will (i.e. ‘intestate’). Our Secure Document Storage Service helps to prevent this. Click here to find out more. If you’ve left them a ‘gift/legacy’ and not named a substitute beneficiary for that gift/legacy, then it automatically ‘falls into’ your ‘Residuary Estate’ (see our ‘Jargon Explained’ page for an explanation of ‘Residuary Estate’ ). If they stand to receive a share of your Residuary Estate and you have not named a substitute beneficiary for that share, then it goes to the other people/charities/organisations that are already receiving the other shares (in the same proportions to their original shares – e.g. if B was already getting 50% and C was already getting 25% then B will get twice as much as C). If they stand to receive all of your ‘Residuary Estate’ and you have not specified a substitute or substitutes to inherit then your ‘Residuary Estate’ is distributed according to the Laws of Intestacy. A major benefit of the tenminutewill.co.uk service is that you can specify up to ten levels of substitute beneficiaries for your Residuary Estate. If you are both wanting to appoint the same Executors and Guardians, and wanting to leave your Residuary Estate to the same people after you have both passed away, then it’s easier (and cheaper) to write ‘Mirror Wills’. Only one set of online forms to complete. Our software ‘Mirrors’ the Partner 1’s Will to Partner 2’s Will – ‘swapping’ the names around wherever they occur. With our service, you are able to specify different gifts/legacies in each Will :- there is a drop-down menu at the bottom of the page when specifying the legacy enabling you to specify in which Will(s) and under what conditions (e.g. ‘first death only’) the gift/legacy is to appear. When you’ve completed the drafting, you are able to specify different ‘relationships’ to Executors, Guardians, and Beneficiaries for Partner 2 on the ‘Will Summary’ page before making your purchase (e.g. Partner 1’s ‘friend’ may be Partner 2’s ‘uncle’). Our software automatically generates the two Wills, which you can then print off and separately sign/witness as with normal Wills. Note that if you are not wanting to appoint the same Executors and Guardians, and/or not wanting to leave your Residuary Estate to the same people after you have both passed away, then you are not making Mirrored Wills – and must instead make a pair of ‘Single Wills’. Yes. An Executor can be a beneficiary and a beneficiary can be an Executor. It actually makes sense to appoint the major beneficiary (provided he/she/they is/are over 18) of your Will as the Executor(s), because an Executor with the added interest of being a beneficiary is going to work a lot more efficiently. Yes. One of the advantages of a Will is that it allows you to legally appoint somebody to look after your children should you die before they reach the age of 18. Appointing Guardians with our service is easy: just fill in their names and addresses on the online form when asked for them. Easily. Just name them as a beneficiary and we'll take care of the rest. The Executors have the power to use any part or all of the inheritance (as and when they see fit) for the ‘Education, Maintenance and Benefit’ of the ‘under-age’ beneficiary. Rather than actually having to spend money themselves on ‘Education, Maintenance and Benefit’, they can simply give it to whoever is the parent or Guardian of the ‘under-age’ beneficiary – who can, of course, be a Guardian appointed by you in the Will. They can invest any inheritance not spent straight away however they see fit. What’s left when the ‘under-age’ beneficiary is old enough to inherit is then given to them by the Executor as if they were a normal beneficiary of the Will. In plain English, you don’t have to worry about writing complicated clauses about ‘holding money in trust’ :- it’s already set up for you in the Will. In short, a Lasting Power of Attorney - Property and Financial Affairs (an ‘LPA-PA') allows you to protect your Financial Affairs whilst you are alive as opposed to a Will, which allows you to decide who receives your worldly possessions after you have passed on. Based on the simple theory that anybody interested in their Estate being looked after once they are no longer around should be even more keen to ensure that it’s looked after whist they are very much alive, everybody who drafts a Will at tenminutewill.co.uk is given the option to also draft an LPA-PA.
As a lot of the information required for your LPA-PA has already been entered for your Will, the drafting of an LPA-PA only takes a few minutes and we advise all of our Customers to make one. For more information on Lasting Powers of Attorney, please click here. A 'Lasting Power of Attorney - Property & Financial Affairs' ('LPA-PA') allows you to appoint somebody to look after YOUR MONEY and related Financial Affairs whilst you are still alive. A 'Lasting Power of Attorney - Personal Welfare' ('LPA-PW') allows you to appoint somebody to look after YOU and your personal welfare. In both cases, you will have the option of purchasing all or any (including just your LPA-PW) of the documents you have drafted. Yes. Just like a Will, it doesn't matter who actually drafts a Lasting Power of Attorney document. 2.1. How do I get my my documents? Your documents are made available for immediate download as soon as you’ve paid for them and clicked the ‘Generate Documents’ button. If you did not download them at that time, and they did not arrive by email, then it’s highly likely that your email system has blocked our email :- quite a few email providers treat emails with PDF documents attached as spam. Click the ‘Returning Customers’ link at our ‘Home Page’. (Or click here). Enter your email address and password in the window that appears (if you don’t know your password, click ‘Lost your Password?’). Once you’ve logged in, click ‘ADMIN/LOGOUT’ at the top right-hand side of the page. This will open up a new window within which (towards the top of the page) will be a link (or links) to your documents. One further note: If you want to view the text of any email that we have sent to you (including an email containing your documents) then follow the the first three steps above and then click 'View your Tickets' instead of 'Doc Downloads'. Click the ‘Returning Customersn’ link at our ‘Home Page’ (or click here). Once you’ve logged in, select the ‘View Summary’ option. If you are happy with what you see, click the ‘Create’ button at the bottom of the page and follow the instructions. If you are not happy with what you see, click the ‘Edit’ button, work your way through the forms, correct the part you want altering, and then keep clicking until you are able to select the ‘View Summary’ option. Then follow the above instruction. Once you’ve created your documents, download them and follow the Instructions document included in the Document Package to ensure that the signing/witnessing process is properly carried out. Once you’ve logged in, select the ‘Edit’ option and work your way through the forms until you get to the point(s) where you want to make your change(s). When you’ve made your changes, keep clicking through the forms until you get to the end. Click the button to ‘View the Summary’ of your Will/LPA, then on the ‘Summary’ page click the ‘Create’ button at the bottom and follow the instructions. We’ll then correct your email address in our database. Click ‘Change Email’ and follow the Instructions. If you can't remember your password and don't have access to your old email address, please complete this form. This will open a new window listing all of the tickets in our system relating to all activity on your account. If you see one entitled ‘A Professional Willwriter has reviewed your Wills’ (or LPAs) then click it. This will enable you to see an exact copy of the email sent by our Professionally qualified Willwriter. It’s quite possible that we have replied but your email system’s spam filter has blocked our email. SO FIRST OF ALL CHECK YOUR SPAM OR JUNK FOLDER. Even if you cant find anything from us after looking in these folders, you can still get to read our response, though. Simply follow the instructions above under "I haven't heard from your Professionally qualified Willwriter" to view your tickets, and you will be able to see whether or not we have replied. For each friend who buys something off us, you'll receive 2 free checks of your Will/LPA documents. You need to go to http://www.tenminutewill.co.uk/storage and click the link at the top of the page where it says `Click here to login if you have your Documents stored with us`. A new Window will open, into which you should enter your email address and password. Once you`ve successfulyl logged in, click the `RETRIEVE DOCUMENT ENVELOPE NOW` link about 3/4 of the way down the page. Then follow the instructions that appear. Note that if you have two Document Envelopes then you will need to repeat the above step for each Document Envelope that you want to retrieve - you can `toggle` between `Document Envelope Details` by clicking the link near the top of the page. We often hear comments such as: I have heard that a Will is invalid if it isn`t signed on every page. To be legal, a Will only has to be signed and witnessed once and if the document is more than one page long the signatures can be on the final page. A Will will not be rejected by the Probate Office even if it isn't stapled together, so a single staple in the top-left corner - so long as it shows no sign of having been tampered with - is more than acceptable. Therefore our Instructions for signing and witnessing tell you to simply staple the Will with a single staple in the top-left corner and to sign only where indicated on the final page. If you are worried that somebody might tamper with or replace pages of your Will, then we recommend that (after all of the signatures have been done) you put it in an envelope and sign across the seal. Although not legally necessary, this will give you peace of mind.